For Special Needs we will file your initial application. If you've been denied benefits, we will handle all appeals and hearings. Only an attorney can represent you at all levels of appeal. Join us in asking Governor Haslam and our legislators to accept the federal funds and support the expansion of Medicaid in Tennessee. 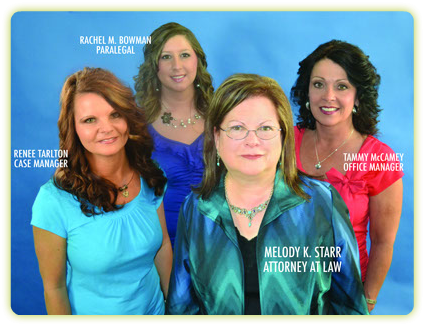 ©2013 Starr Law Office. All rights reserved.